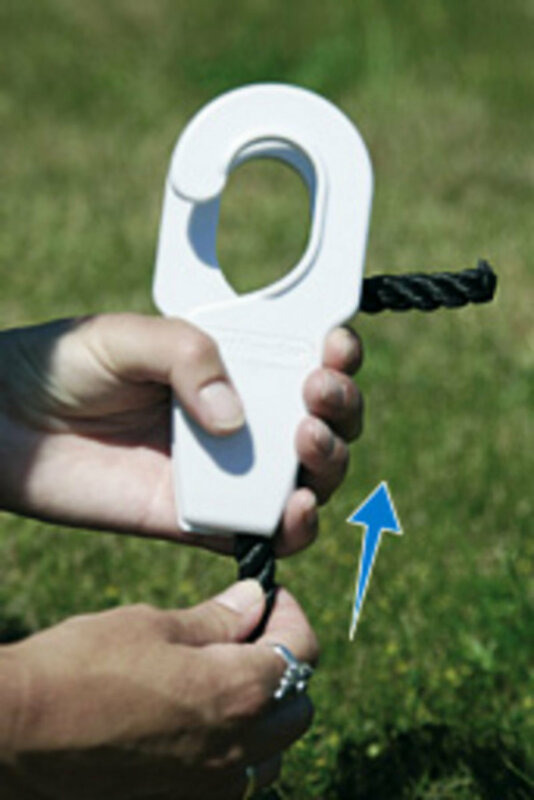 Here you will find some basic instructions on how to use the Fastfender. 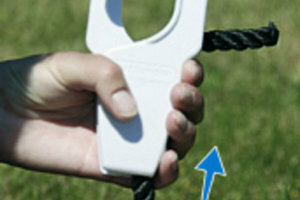 - Attach your fenders in the blink of an eye! 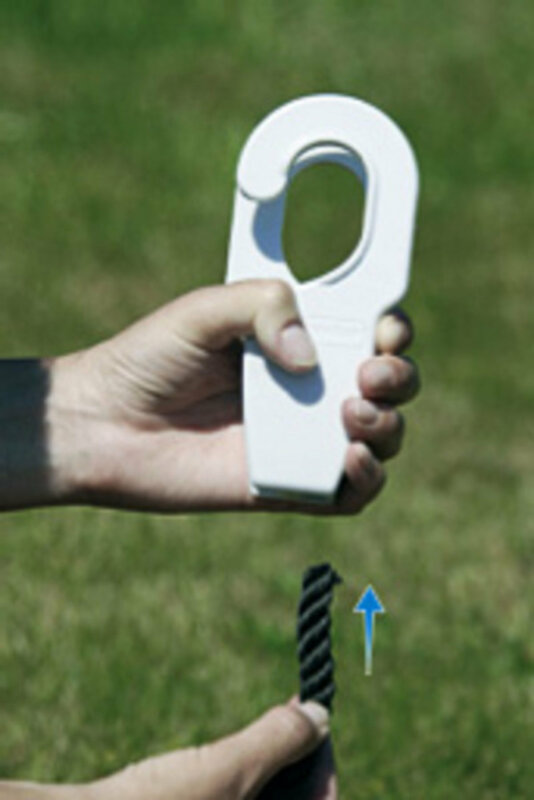 - Easy to use with one hand! 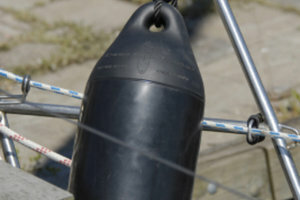 - Easily adjust your fender in height! 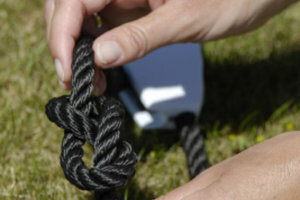 When using the Fastfender, everyone is capable of attaching and removing fenders from your boat! 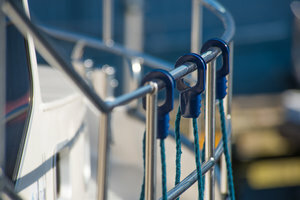 Simply slide the hooks onto the railing. 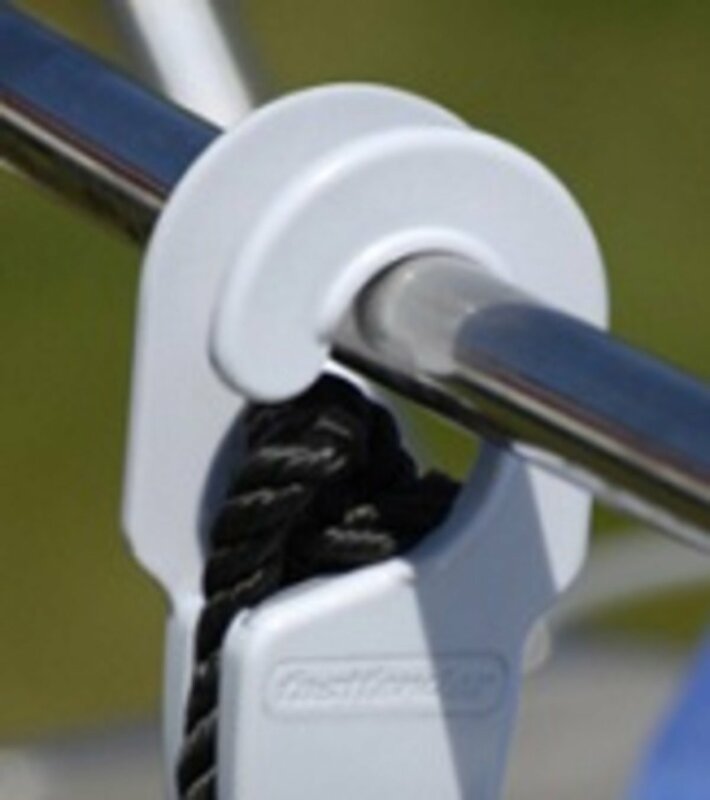 Now rotate the FastFender 90° and Fastfender will easily fall into place, resting on the railing by the hooks. Thread the rope through the bottom of the Fastfender, pulling one end to the serrated portion and pulling the other end straight down through the serrations. 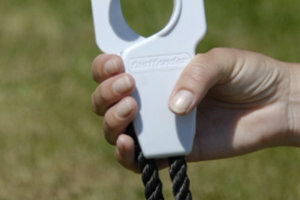 Now you are ready to use your Fastfender! 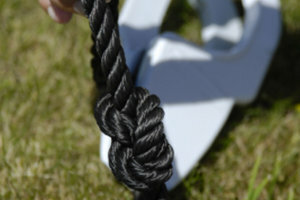 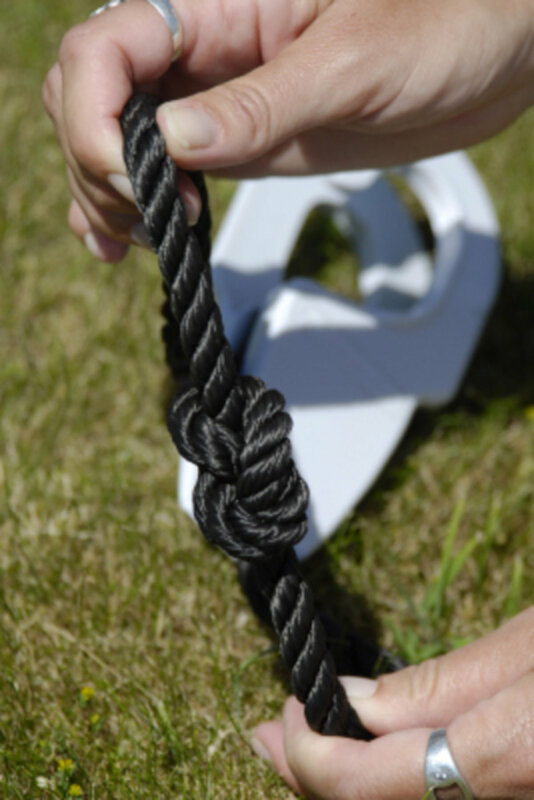 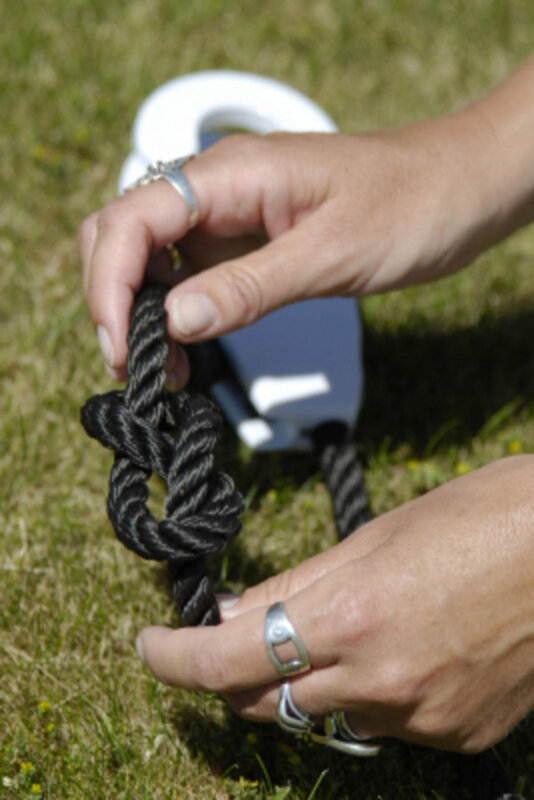 To secure your fender, knot the loose end of the rope in a half knot or figure-eight. 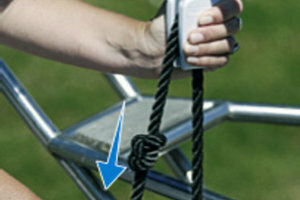 For the most secure knot, knot the rope where the knot will lay against the lower side of the fender when stopped. 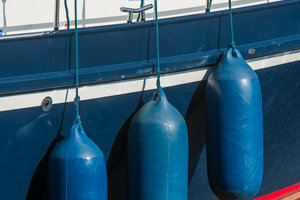 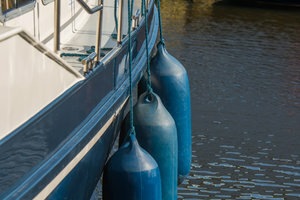 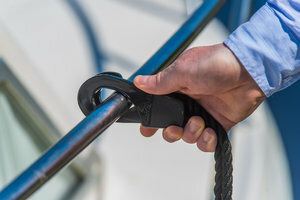 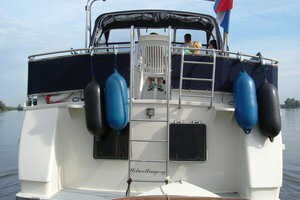 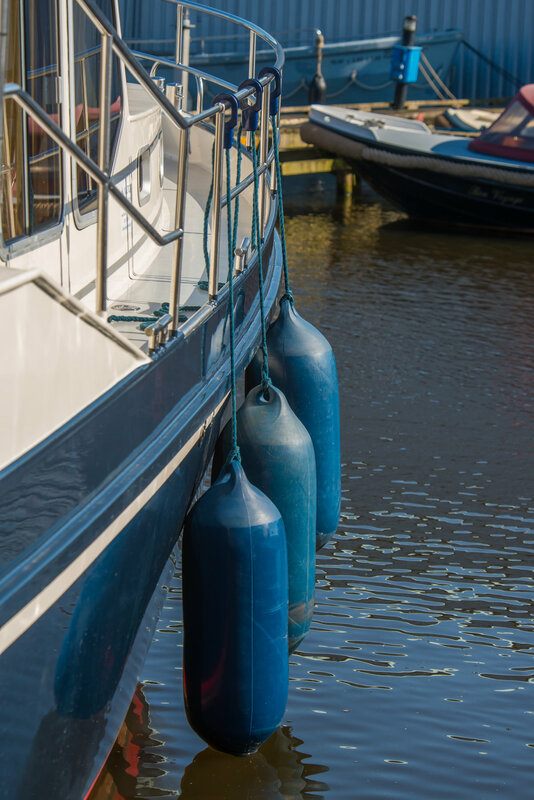 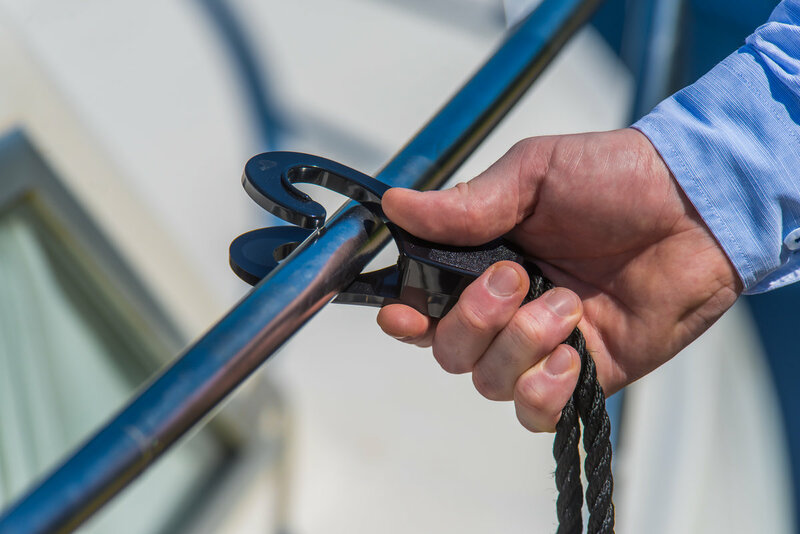 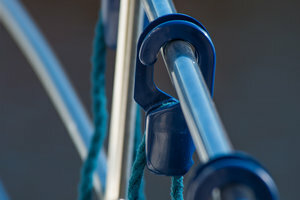 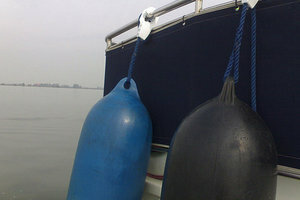 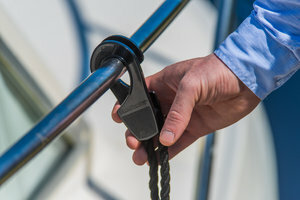 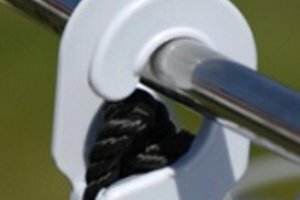 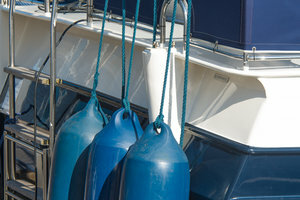 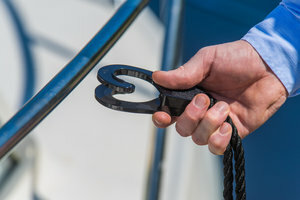 When a knot is tied inbetween the two hooks, the Fastfender will be prevented from turning off the line (see photo 4) or coming off of the railing. 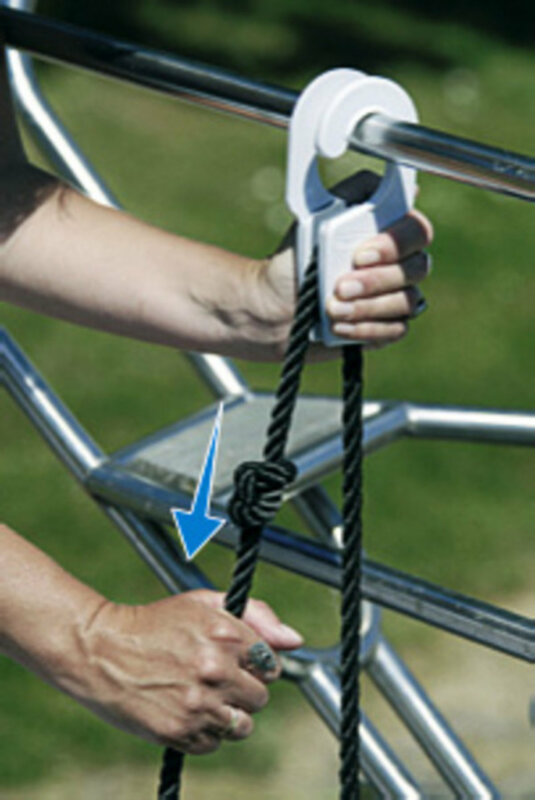 This is an added security measure. The Fastfender stows away with ease and simplicity, for handy and neat storage. 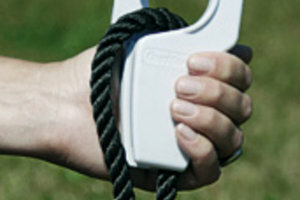 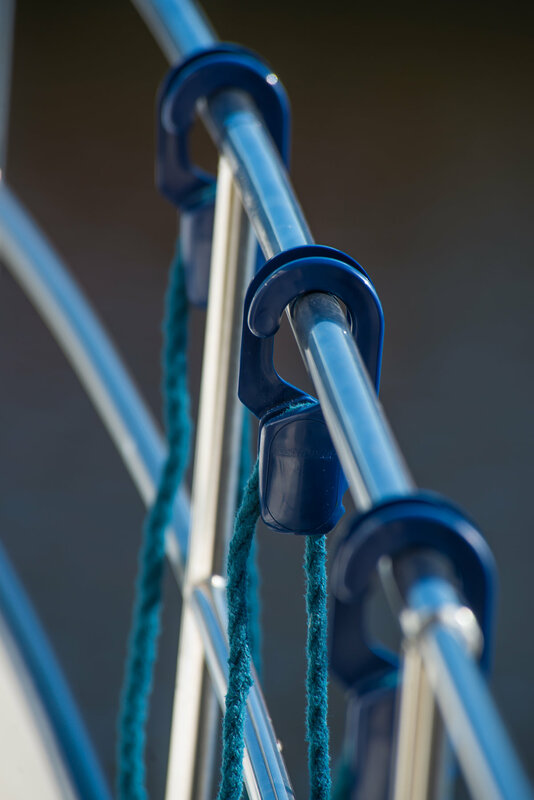 Once you simply tug the rope taut, the fender hangs in place. 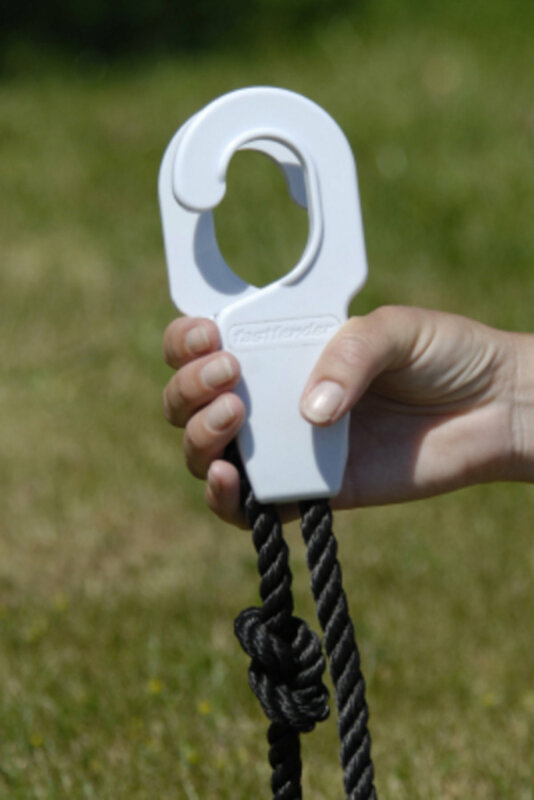 You can now order Fastfender products on Amazon. 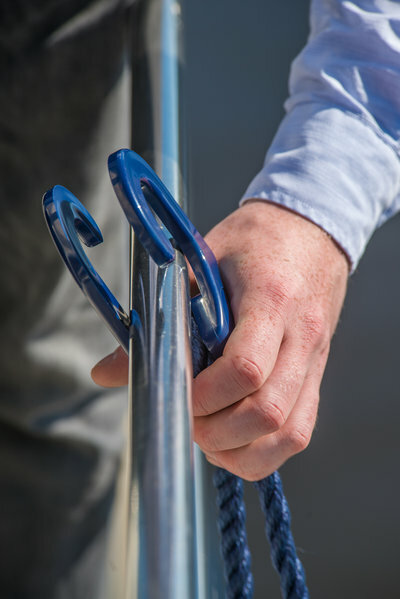 Click on the play-button to the left, to watch our new Fastfender instruction video! 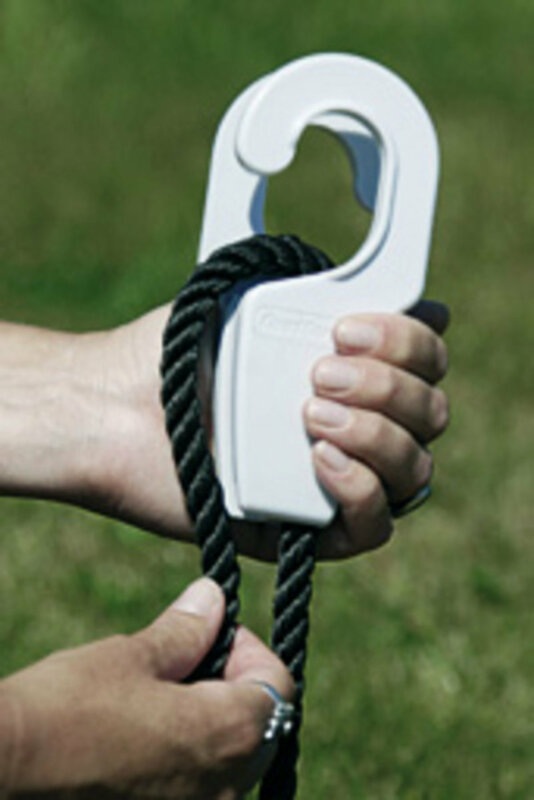 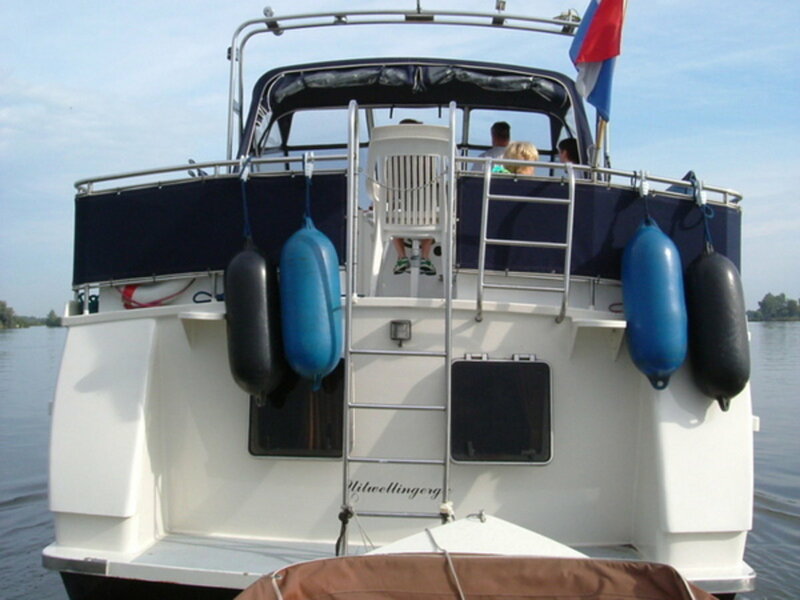 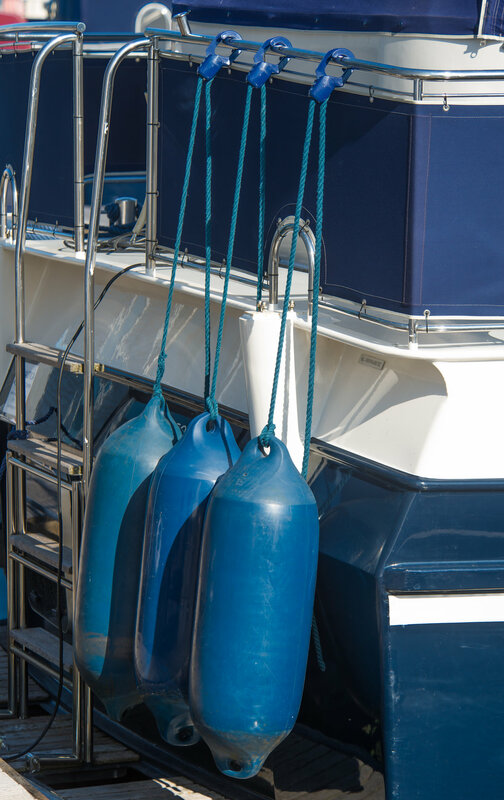 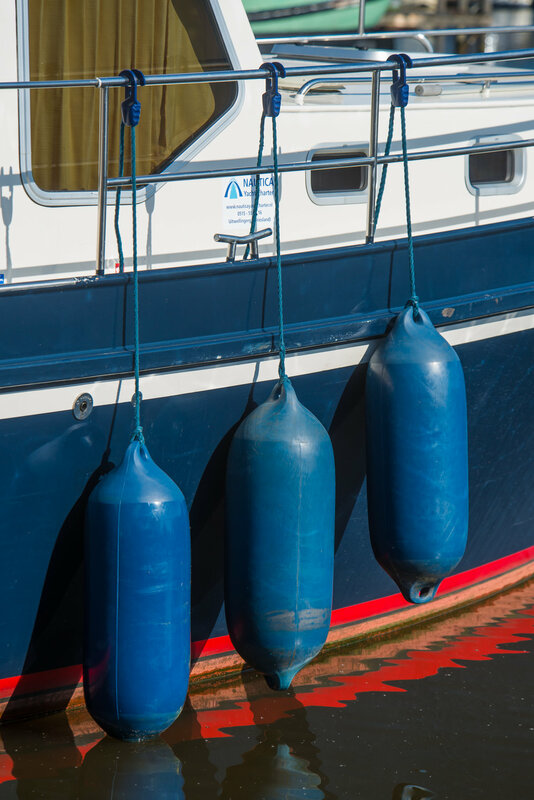 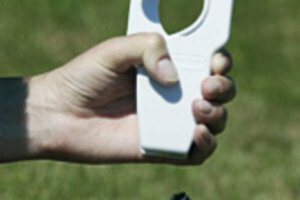 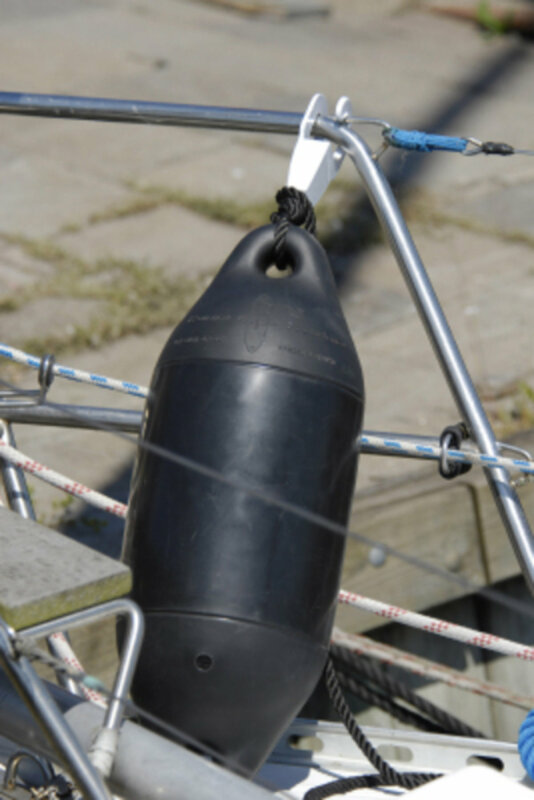 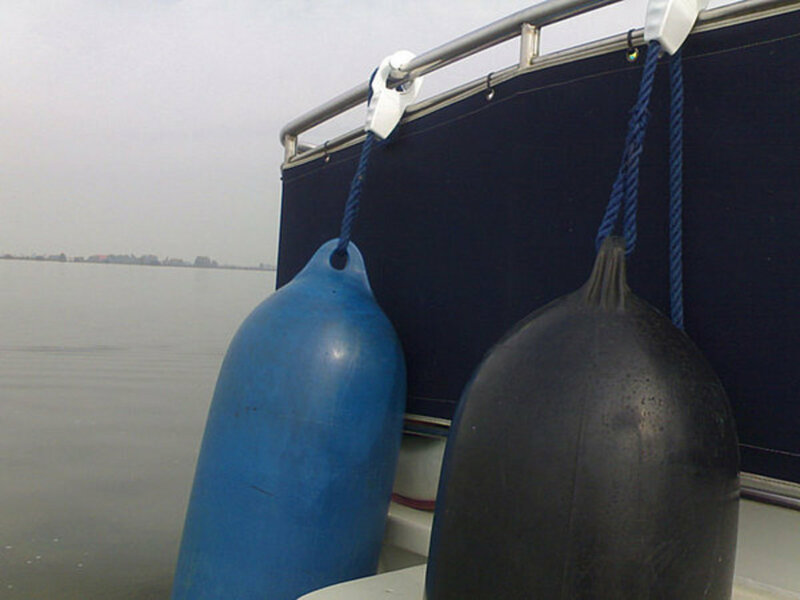 With the Fastfender, everyone can easily attach, remove or adjust your boat fenders!